Members of U3A are all welcome to join the activities of the groups. Contact details of leaders are given in the Programme of Events. 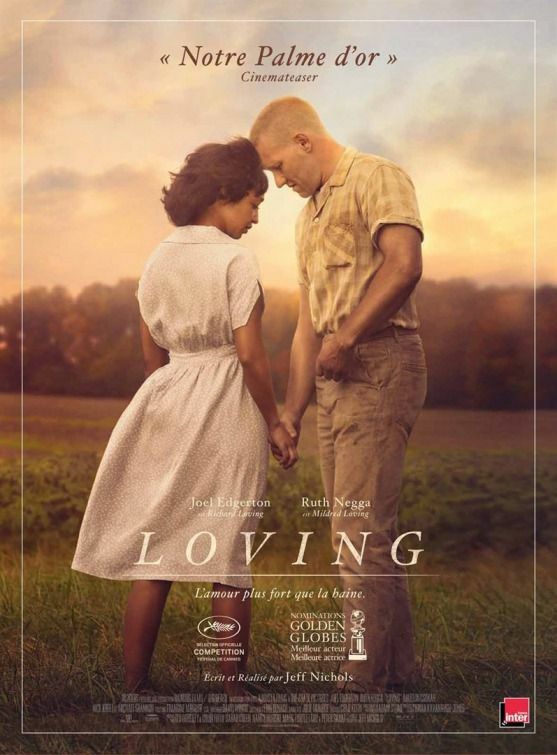 The last meeting was on Wednesday 27th March at Sally's home near Shrewsbury.The film 'LOVING' starred Joel Edgerton and Ruth Negga. In 1958 in the state of Virginia, the idea of interracial marriage was not only considered to be immoral to many, it was also illegal. When Richard and Mildred fall in love, they are aware of the eyes staring at them and the words said behind their backs. It is when they get married, however, that words and looks become actions, and the two are arrested. The couple decide to take their case all the way to the Supreme Court in order to fight for their love . New laws were passed and they won their case. If you want action and a fast-moving film - this is not for you, but it is a true story of just an ordinary couple who wanted to live together as husband and wife. It was interesting to see how accepted Joel was by the black community and how unacceptable Mildred was to the white community. Shame on us! The last film watched by the Group was in February and a French film in two parts. Part 1 was entitled 'Jean De Florette' and Part 2 'Manon Des Sources'. It was the French director Claude Berri's stunning adaptation of the acclaimed Marcel Pagnol novel and the winner of numerous international awards and is the world's most popular foreign language film ever. City-dweller Jean de Florette (Gerard Depardieu)moves his family to the Provence countryside in the 1920's to forge a new life as a farmer. But his proud, cocky neighbouring rival Le Papet (Yves Montand) schemes with his simple-minded nephew (Ugolin (Daniel Auteuil) to acquire some nearby land ensuring the novice-owner never discovers an all-important natural spring on the property. Part 2 - 'Manon Des Sources' continues with the late Jean de Florette's daughter Manon (Emmanuelle Beart), now grown up into a beautiful and free-spirited young shepherdess on her father's Provence farm. But when she finally learns the tragic truth behind her father's death, Manon plots her revenge on the dim-witted Ugolin and the scheming Le Papet. A visual feast containing masterly performances leading to a heart-stopping and totally unexpected conclusion. The films are a must-see!! The group met in November at Nick's home. The film we saw was 'In the Heat of the Night' starring Sidney Poitier and Rod Steiger. In the Deep South, homicide detective Virgil Tibbs (Poitier) becomes embroiled in a murder investigation. When the bigoted town sheriff (Steiger) gets involved both he and Tibbs must put aside their differences and join forces in a race against time to discover the shocking truth. This film won Best Picture Award in 1967. The two leading actors gave wonderful performances and we sat throughout, on the edge of our seats waiting for the racial tensions to erupt but despite the deplorable way that every black person in the town was treated the film ended reasonably happily for everyone except the corpse! 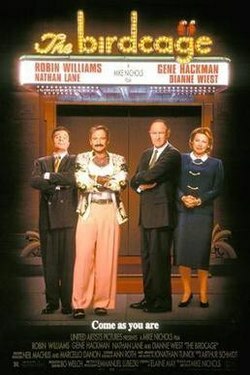 On Wednesday 26 September we visited Sally's home and watched 'The Birdcage' starring Robin Williams, Gene Hackman, Nathan Lane and Dianne Wiest. It is a non-stop hilarious comedy. Williams starred the outlandish owner of a wild Miami Beach night club, whose partner Lane is also the star attraction at the club. Hackman was the ultra-conservative US Senator who faces political problems when his closest political ally dies in bed with a prostitute. When Williams' son announces his engagement with Hackman's daughter, the scene is set for a riotous comedy of errors, Hackman sees the wedding as the opportunity to restore political fortunes by promoting 'traditional family values'. If he only knew what sort of family his daughter was marrying into!' Put the two families together and watch the sparks fly in this hilarious battle of the three sexes! We meet on the last Wednesday in the month at each members' house. The films chosen are those that do NOT regularly appear on the various television channels and which have a decent story and/or have an innovative content. A number of films are chosen by the host, the one shown is selected by the attendees.